Previously, scientists at the Children’s Medical Center Research Institute at UT Southwestern (CRI) discovered a new bone-forming growth factor they named Osteolectin. The study, published in eLife in 2016, found Osteolectin is required for the maintenance of adult skeletal bone mass and acts by promoting the differentiation of skeletal stem cells into bone cells. The study also showed Osteolectin could reverse osteoporosis in mice, suggesting Osteolectin might one day be a useful therapeutic for osteoporosis or other bone conditions. However, before researchers could consider the possibility of using Osteolectin clinically, they first needed to identify the mechanism Osteolectin uses to promote the formation of new bone cells. In the study, scientists discovered Osteolectin binds to a type of receptor known as integrin alpha 11 on the surface of skeletal stem cells. Integrins are proteins on the cell surface that along with other receptors play a critical role in regulating how cells interact with one another and their environments. 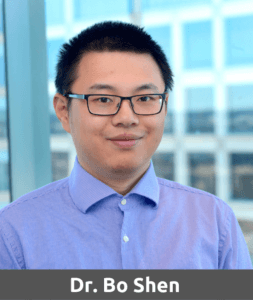 Dr. Bo Shen, a postdoctoral fellow in the Morrison laboratory, found that integrin alpha 11 is made mainly by skeletal stem cells and their bone-forming progeny. To determine if integrin alpha 11 is an important Osteolectin receptor, Dr. Shen deleted the gene that encodes integrin alpha 11 receptor from skeletal stem cells in culture and mice. In both cases, loss of alpha11 prevented bone-forming cells from responding to Osteolectin and impaired their ability to form bone. This confirmed that integrin alpha 11 is a biologically important receptor for Osteolectin. “The discovery of a receptor for Osteolectin is an important step forward as we explore the question of whether Osteolectin function can be therapeutically modulated to treat bone diseases. The observation that alpha 11 integrin is made mainly by bone-forming cells is encouraging because it suggests that Osteolectin will not have effects on non-bone-forming cells, and therefore may be safer to use clinically than some other bone-forming growth factors that are currently used clinically,” said Dr. Sean Morrison, director of the CRI. Dr. Morrison is a CPRIT Scholar in Cancer Research, a Howard Hughes Medical Institute investigator and a member of the National Academy of Medicine. He holds the Mary McDermott Cook Chair in Pediatric Genetics at UT Southwestern Medical Center and the Kathryne and Gene Bishop Distinguished Chair in Pediatric Research at Children’s Research Institute at UT Southwestern. The study’s lead author was Dr. Bo Shen, an NIH Ruth L. Kirschstein National Research Service Award (NRSA) fellow at CRI. The project was supported by the Cancer Prevention and Research Institute of Texas (CPRIT) and donors to the Children’s Medical Center Foundation.